Experience the past, present and future wonders of astronomy, space and the stars! If you’re into history especially astronomy and clocks, you must visit this place. The highlight is the Meridian Line which is something that must be seen. We enjoyed it very much. Exchange for tickets were easy at the counter. 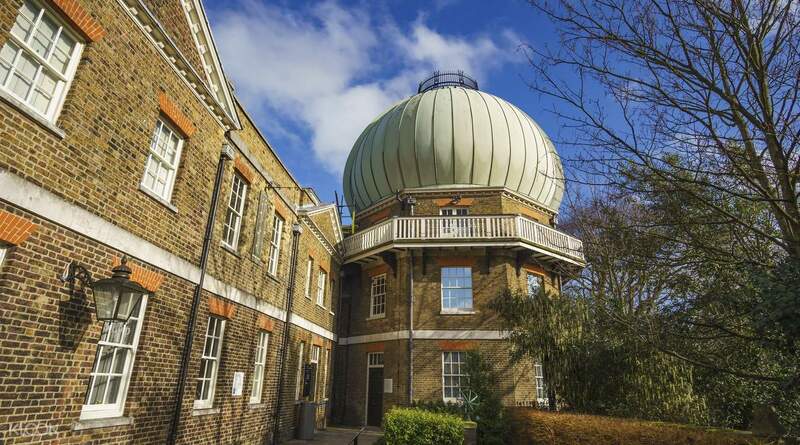 Explore the wonders of astronomy and experience its past, present and future with a visit to the Royal Observatory Greenwich. Learn about the stories of the Astronomers Royal as well as how scientists mapped the stars here to navigate the sea. Get a once in a lifetime experience and place yourself where the Eastern and Western Hemispheres meet by standing on the world famous Meridian Line, with one foot in either hemisphere! 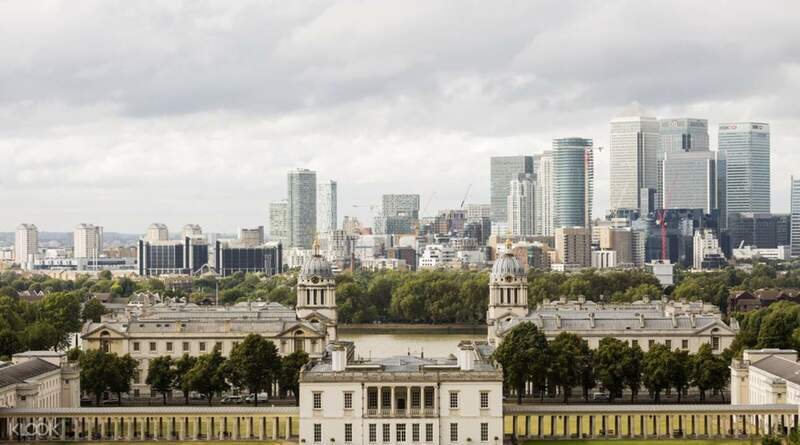 Enjoy the beautiful features of Christopher Wren's Octagon Room, with its wood paneling and astronomical instruments, as well as its gorgeous views of Greenwich Royal Park, the City of London and the River Thames. 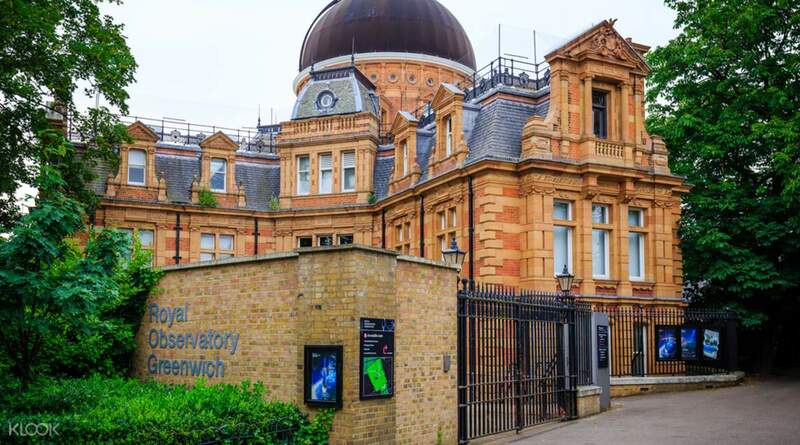 Visit must see attractions such as the Great Equatorial Telescope, an onion dome that contains the seventh largest telescope in the world, and the Shepherd Gate Clock, the first clock to show Greenwich Mean Time to the public. Remember to use the multi-language audio guides provided with your admission ticket and don’t forget to treat yourself to some food at the cafe and maybe even buy some souvenirs! A visit to the observatory will be a treat not only for science buffs but for everyone! 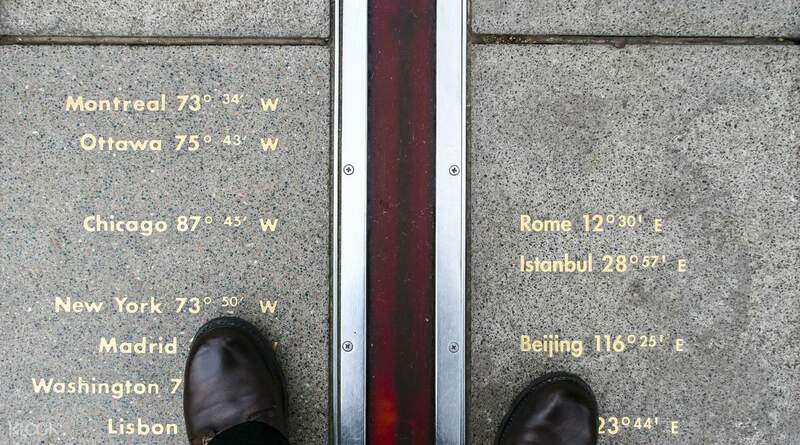 Have one foot in the Eastern and one in the Western hemisphere by standing on the Meridian Line! Было очень интересно посетить Королевскую обсерваторию Гринвича. Билет не дорогой, но и активностей не так уж и много. Музей часов,камера обскура, обзорная площадка, и самое главное нулевой меридиан. Здесь многие фотографируются. Бесплатно можно погулять по парку поблизости и спуститься к пирсу. Главное не запутаться в ветках DLR и метро. Было очень интересно посетить Королевскую обсерваторию Гринвича. Билет не дорогой, но и активностей не так уж и много. Музей часов,камера обскура, обзорная площадка, и самое главное нулевой меридиан. Здесь многие фотографируются. Бесплатно можно погулять по парку поблизости и спуститься к пирсу. Главное не запутаться в ветках DLR и метро. Royal Observatory is near to Greenwich park. Make sure to check the camera which was built inly from lenses. Royal Observatory is near to Greenwich park. Make sure to check the camera which was built inly from lenses. Nice view from the Royal Observatory. Don’t forget to check out the Camera Obscura which projects a real time view of the Queen’s House. I’m glad I was there early, quite crowded when I left there around 1.30pm. Nice view from the Royal Observatory. Don’t forget to check out the Camera Obscura which projects a real time view of the Queen’s House. I’m glad I was there early, quite crowded when I left there around 1.30pm. Great historical place to learn about the birth place of “time” and nautical navigation. Great historical place to learn about the birth place of “time” and nautical navigation. Very interesting. Easy access. Take the audio guide that’s already included in the package. Remember to allocate about 1-1.5 hours for the Royal Observatory as there is a museum. We came too late and missed the Maritime Museum so as to complete the Royal Observatory. Very interesting. Easy access. Take the audio guide that’s already included in the package. Remember to allocate about 1-1.5 hours for the Royal Observatory as there is a museum. We came too late and missed the Maritime Museum so as to complete the Royal Observatory. Was easy to swap the printed email to official tickets and get audio guide. Was interesting to walk around and see all the artifacts related to time. Only enough for a couple of hours. Planetarium next door was not included in the ticket price. Was easy to swap the printed email to official tickets and get audio guide. Was interesting to walk around and see all the artifacts related to time. Only enough for a couple of hours. Planetarium next door was not included in the ticket price. Redemption was very fast within 5 minutes, the view was fantastic, this place is my no.1 favorite destination during my entire europe tour, love the scenery, the building, the history, very interesting. Redemption was very fast within 5 minutes, the view was fantastic, this place is my no.1 favorite destination during my entire europe tour, love the scenery, the building, the history, very interesting. Quick access to observatory. No need to wait or queue. Very convenient. Meridian Line is the must see and take photo spot. Quick access to observatory. No need to wait or queue. Very convenient. Meridian Line is the must see and take photo spot. The observatory is on a hilltop in the Greenwich Park. The weather was great and so it was comfortable walking uphill. The entrance tickets alone if purchase on site would cost 15 pounds, so it was ideal to buy the entrance tickets elsewhere or bundled with other activities. There were at least two groups of students from different primary and secondary schools visiting on that day. It was fascinating to learn about how latitudes and longitude were calculated and measured, especially in sea. I also took photos at the prime meridian. 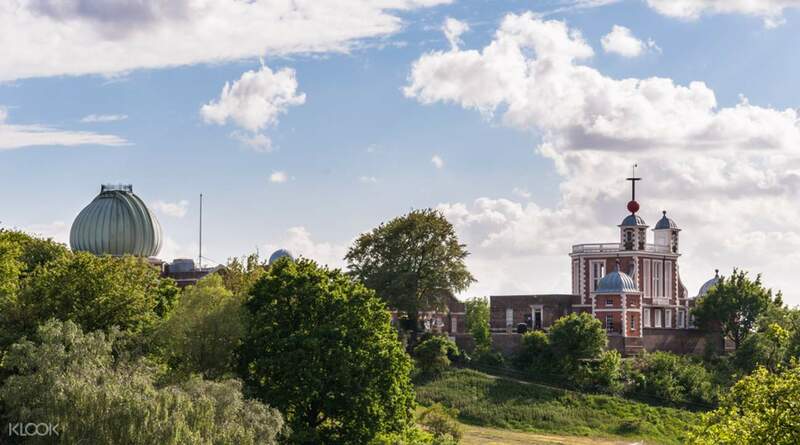 The observatory is on a hilltop in the Greenwich Park. The weather was great and so it was comfortable walking uphill. The entrance tickets alone if purchase on site would cost 15 pounds, so it was ideal to buy the entrance tickets elsewhere or bundled with other activities. There were at least two groups of students from different primary and secondary schools visiting on that day. It was fascinating to learn about how latitudes and longitude were calculated and measured, especially in sea. I also took photos at the prime meridian. If you’re into history especially astronomy and clocks, you must visit this place. The highlight is the Meridian Line which is something that must be seen. We enjoyed it very much. Exchange for tickets were easy at the counter. If you’re into history especially astronomy and clocks, you must visit this place. The highlight is the Meridian Line which is something that must be seen. We enjoyed it very much. Exchange for tickets were easy at the counter.